Once you’ve chosen your preferred conservatory design – and have decided which doors and windows to use – it’s time to start thinking about what is, arguably, the most important part of the installation. Having perhaps already searched for conservatory roofs in Bournemouth, you will have encountered a wide range of different design options – but do not know which one to choose. With so many conservatory roofs in Bournemouth to select from, Conservatory Village is ideally positioned to help you with your home improvement project. All the roofs that we provide are long-lasting, versatile and can be designed to suit your precise requirements. Whether you want a glazed roof system that’ll let in plenty of light, or a thermally efficient solid roof, we’ll be able to help. 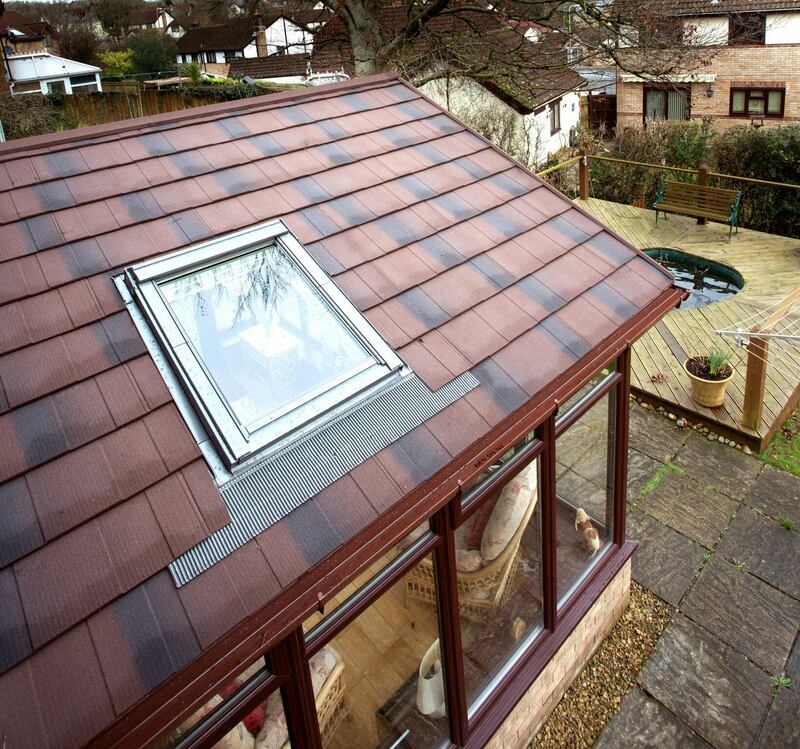 Conservatory roofs are an investment and will be, in many ways, your extension’s crowning achievement. That’s why it’s important to choose a product that’ll provide you with the levels of insulation needed to keep you warm – whilst at the same time letting in plenty of light that will connect your interior areas and create a greater impression of space. Finding conservatory roofs in Bournemouth that’ll provide all of these benefits isn’t easy; but, fortunately, we have some roofing solutions that are ideal for you. Polycarbonate conservatory roofs won’t protect you from the often-harsh British weather, and it won’t keep out the noise of rainfall very well. A glass roof is a better choice, but will still leave you feeling exposed. Contrastingly, the LivinRoof system – which is supplied to us by Ultraframe, an industry-leader in their field – is a perfect choice if you’ve been looking for conservatory roofs in Bournemouth, as it combines the strengths of a solid and glazed roof seamlessly together – providing you with plenty of shelter and light. As an alternative, you may want to look at the UltraRoof380 range, which is also supplied to us by Ultraframe. Built using lightweight tiles, this ingenious solid roof system can be built to incorporate multiple glass panels or a Velux window. It can be built using a bespoke design and incorporates a stunning vaulted ceiling too, which means it will look stunning from the outside and the inside, whilst also providing you with fantastic levels of thermal efficiency and plenty of natural light that’ll accentuate a sense of space. The construction of conservatory roofs is just as important as their design. You’ve been looking online for conservatory roofs in Bournemouth that will last, provide you with unrivalled levels of thermal efficiency and create a bright open space that you can enjoy at any time of the year. 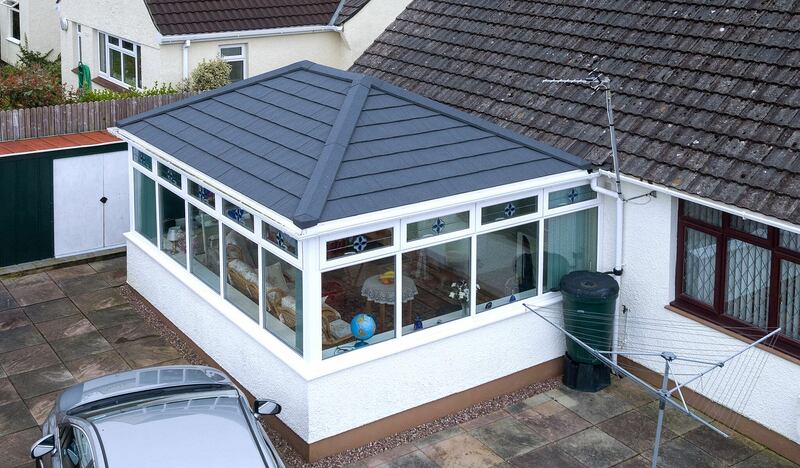 Our conservatory roofs in Bournemouth are constructed using specially designed composite external panels and use durable and extremely strong slab insulation. All of this means that you’ll be able to buy from us with confidence, knowing that your conservatory roof will keep you warm and last. Whether you ask us to install a LivinRoof or UltraRoof380 system, you’ll be choosing from a range of conservatory roofs in Bournemouth that’ll let in an abundance of ambient light, protect you from the elements and keep you warm – added to which, you’ll be able to customise your design. When shopping for conservatory roofs in Bournemouth, you’ll want reassurance that your product can be designed to accommodate your requirements. Our friendly and knowledgeable team will help you choose the right glass panels, colouring and pelmet options – resulting in a finished design that you’re bound to love. All the conservatory roofs in Bournemouth that we install using the LivinRoof system will be completed to a very high standard; for example, we use industry-leading plasterboard to guarantee a smooth appearance. 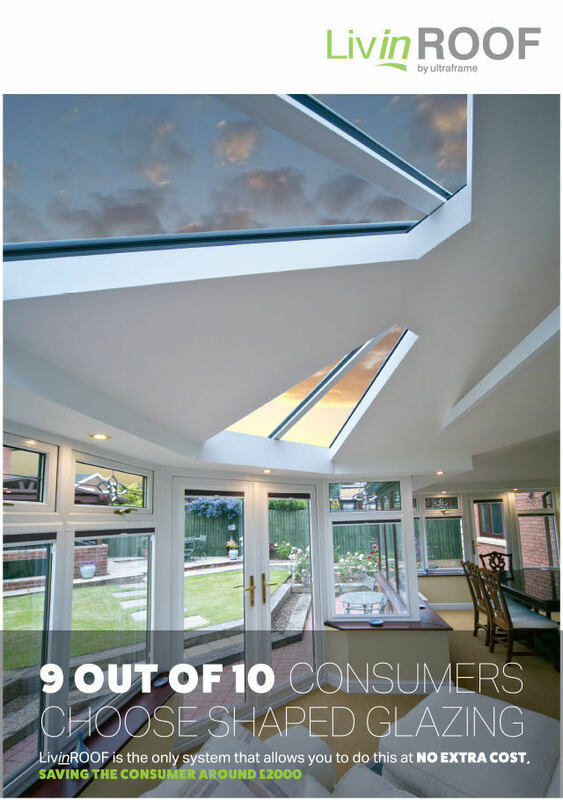 You’ll also be buying a conservatory roof that’s 15 times more thermally efficient than polycarbonate. When you choose Conservatory Village to install your roof, you can rest assured that your home improvement project will be completed on time and within budget. We’ll also update you on progress throughout and be on-hand to answer any questions you may have – so you can buy from us with peace of mind. For conservatory roofs in Bournemouth that are stunning, thermally efficient and competitively priced, request a quote using our online quoting tool – it’s easy to use and you’ll get conservatory roof prices instantly. If you would like to get your conservatory roof quote in person – or have a technical question about one of our products – please use our contact page to get in touch and we’ll get back to you as soon as we possibly can.